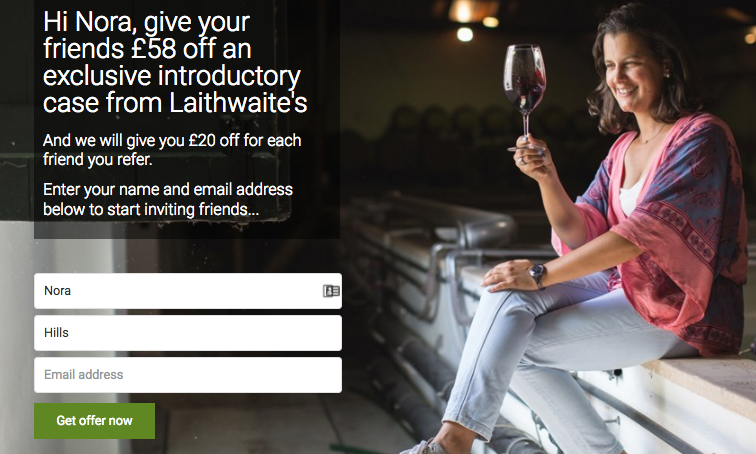 Laithwaite’s, the UK’s biggest home delivery wine merchant, have appointed Mention Me to power their referral programme. Despite its size, Laithwaite’s remains family owned, and prides itself on providing a quality product, championing wines from smaller producers not found on the high street. This focus on quality combined with a highly personalised service means that Laithwaite’s generates enormous customer loyalty. 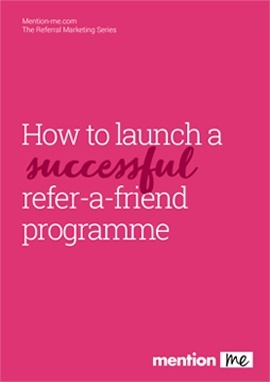 Harnessing this advocacy via a referral programme will bring the brand to an even greater audience. John Buffey, Head of Digital Marketing explained: “With our diverse customer base, who are shopping for a variety of occasions, we wanted a partner who could enable us to segment our referral offers. The Mention Me platform also enables us to AB test campaigns so we can find the referral rewards which really resonate with our customers”. In addition to these testing capabilities, the Mention Me solution provides a unique sharing option “share by name”. Ideal for a product enjoyed in social situations, this revolutionary mechanic does just what its name suggests. If you’re enjoying a glass over dinner with friends, and they comment on the delicious wine you served, just tell them it came from Laithwaite’s, and as a friend, you can get them a great deal. All your friend needs to do is enter your name at check-out to receive the deal. No code to remember. Especially useful after that second glass! Andy Cockburn, CEO and co-founder of Mention Me commented: “We are delighted to be working with Laithwaite’s to provide their referral platform. Their great brand combined with such a loyal customer base means that referrals should form a growing part of their business”.